Everyone loves a good conspiracy theory – but sometimes, that “theory” is actually true – or at least based on truth! 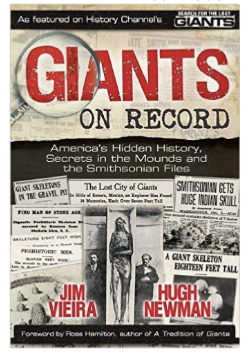 In fact the history behind each of these creatures is rather fascinating! Surely you’ve heard the crazy stories out there of all types of imaginary creatures and monsters – but did you know that once upon a time a gorilla (formerly known as a pongo) was actually on this imaginary creature list? Gorillas! No – it wasn’t the shapeshifter many once claimed – but it (obviously) is a REAL animal! 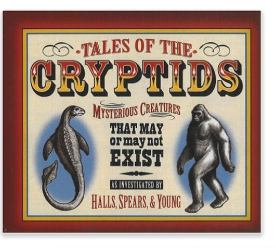 Okapis and coelacanths have also moved from the cryptid “myth” to REAL animal list as well and totally rocked the scientific world shrouded in mystery for so many years! Considering so much of our Earth is unexplored and undiscovered and scientists are finding new species EVERY DAY. This provides a never ending source of learning! I can only imagine what other cryptid based animals will move onto the “real animal” list in my lifetime! Having a degree in Biology I absolutely love the hunt for the undiscovered – but I also need hard scientific facts for proof. 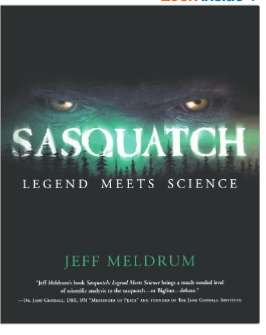 And like many kids my own children are fascinated by the idea of aliens, Bigfoot, the Loch Ness monster, the Bermuda triangle and many other mystical and paranormal fascinations and cryptozoology aspects. It opens up another world of exploration and scientific detail for my children to discover. We have had many great discussions about cultural stories passed down throughout generations, undiscovered species, hard scientific data, and why sometimes scientific data can not always provide the answers we are looking for. 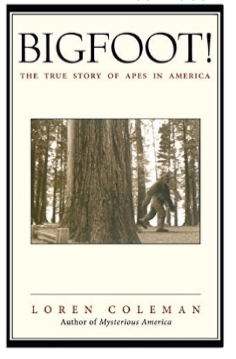 My kids are admittedly fascinated by the plethora of big foot hunters and mysterious documentaries and reality shows you can find out there today but some of them are quite scary for kids! And as you can imagine there are plenty of extremely intense paranormal videos out there that you might not want your kids watching! We have taken several field trips lately to “haunted locations” for the kids to visit themselves and draw their own conclusions. Bigfoot animations can be pretty intense and scary so do make sure your kids won’t have nightmares before viewing some of these shows! I love that they can see the mystery and puzzle played out in a scientific laboratory and watch DNA testing, footprint casting, and other aspects of science they might not normally see at school. Make sure you watch debunking documentaries as well to see how scientists decipher fake videos and claims from possible real ones! 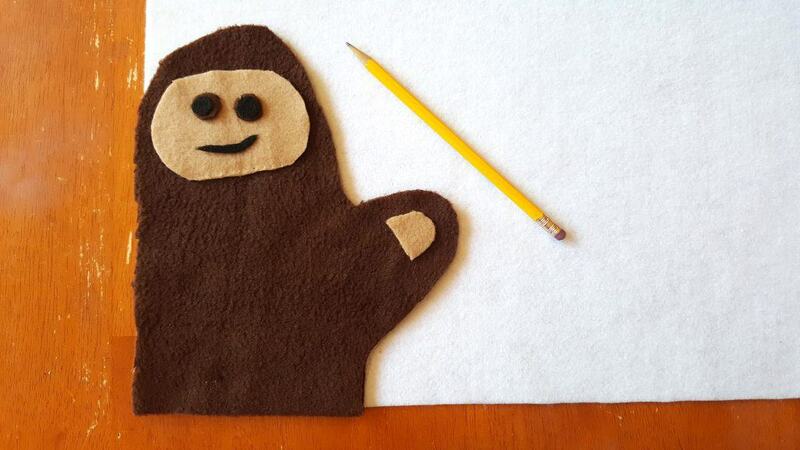 Begin by laying out your dark brown felt on a flat surface and placing your hand on top of it as if you were wearing an oven mitt glove as shown above. 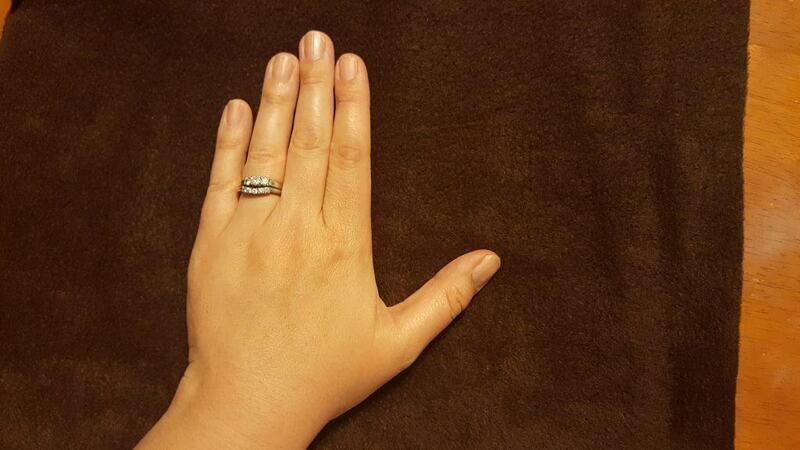 Cut around your hand leaving a little extra room all the way around it so that your hand puppet will fit easily. You’ll need 2 pieces of felt in this shape. 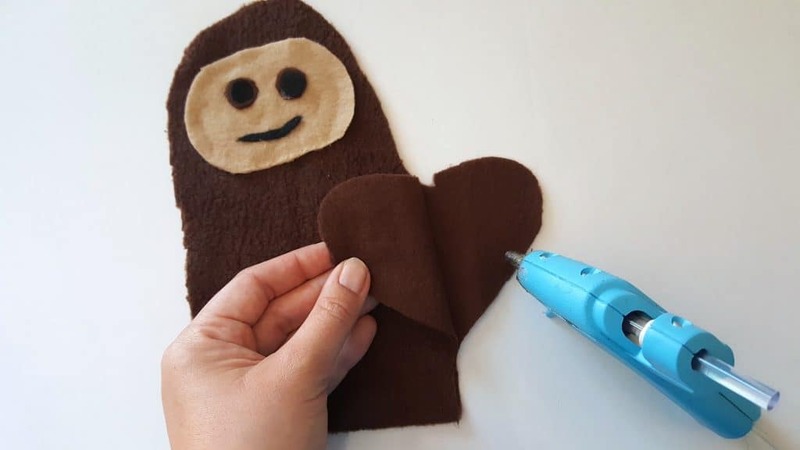 Next cut out an oval shape from your light brown felt and a small half oval which will become the face and hand for your Sasquatch hand puppet. 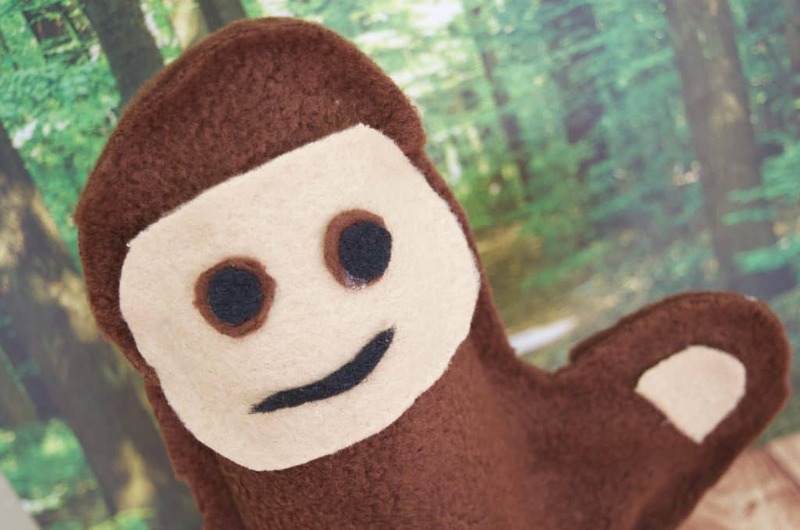 I used small brown and black circles of felt for his eyes but you could also use a button or googly eyes if you wanted. 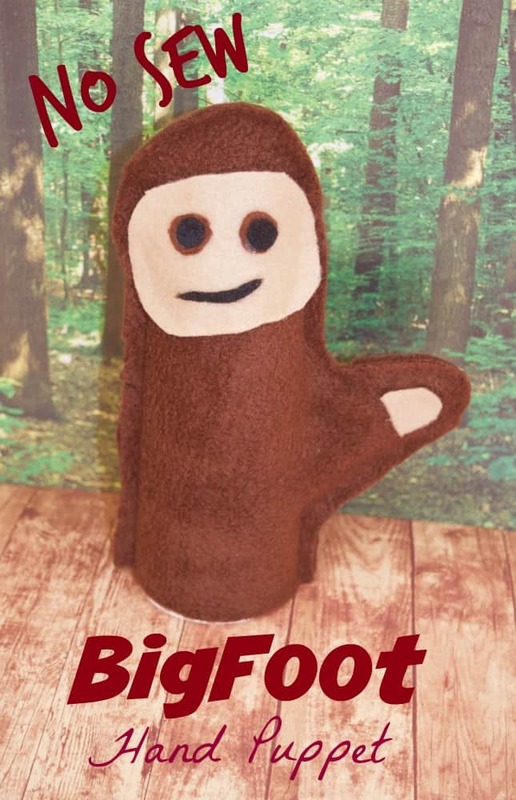 Once you’ve cut out your Bigfoot puppet pieces you can use them as a template for your Yeti hand puppet pieces! 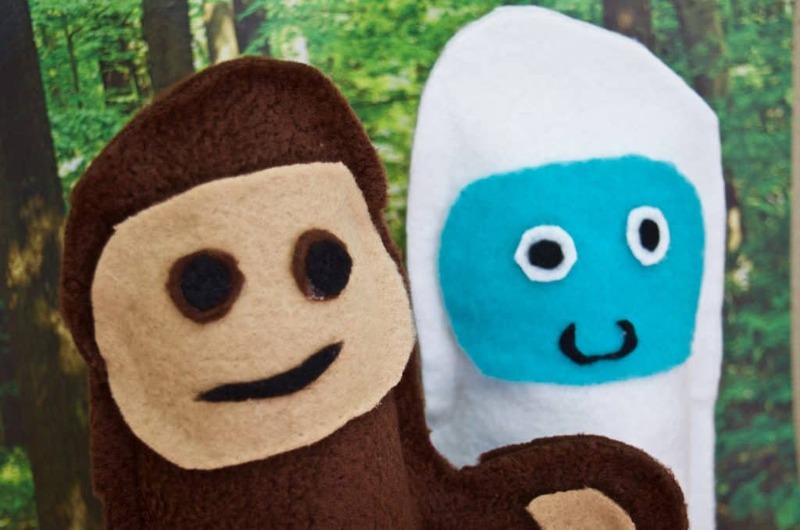 Lay your Bigfoot “body” puppet on top of your white felt and cut out 2 white hand puppets. I used my pencil to lightly draw on the white felt so it was easier to cut. 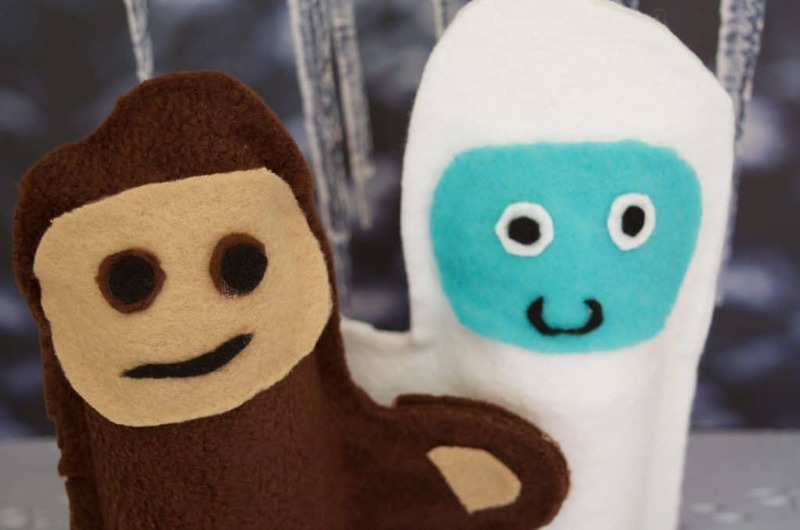 Using your light brown oval Sasquatch “face” you can cut the same shape out of your light blue felt for the Yeti’s face. And same thing with the eyes – I used black and white felt circles but you could also use buttons or googly eyes. 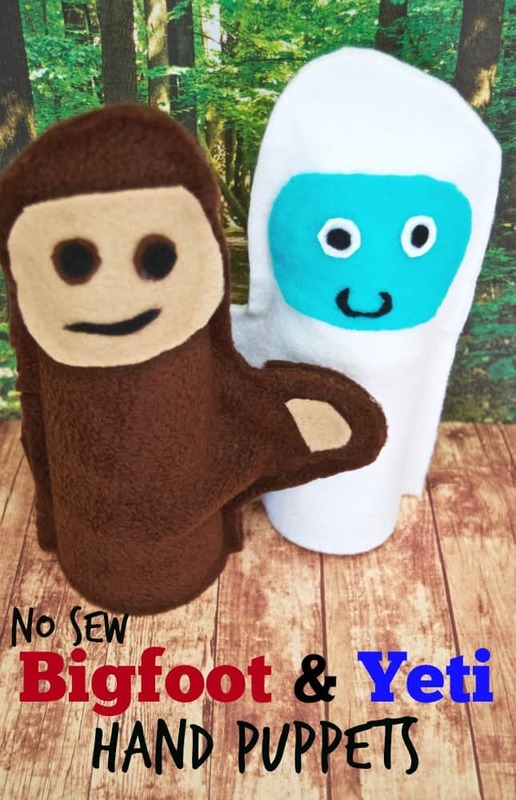 Once your hand puppets and pieces have all been cut out it’s time to glue them together using your hot glue gun ! 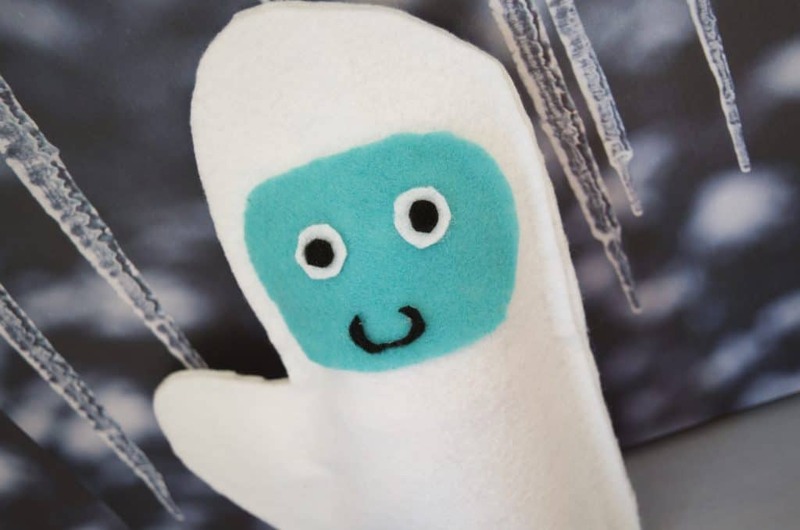 Apply a thin strip of glue IN BETWEEN the two felt hand puppet layers around the edges but make sure to leave the arm hole open for you to insert your hand into the puppet! Carefully glue on the face, eyes, and mouth pieces as well. If you really want to get creative you can add some “fur” around the face of the Bigfoot or go for some more detailed features. We just made ours easy enough so that the kids could create their own though – this makes a great project for them! 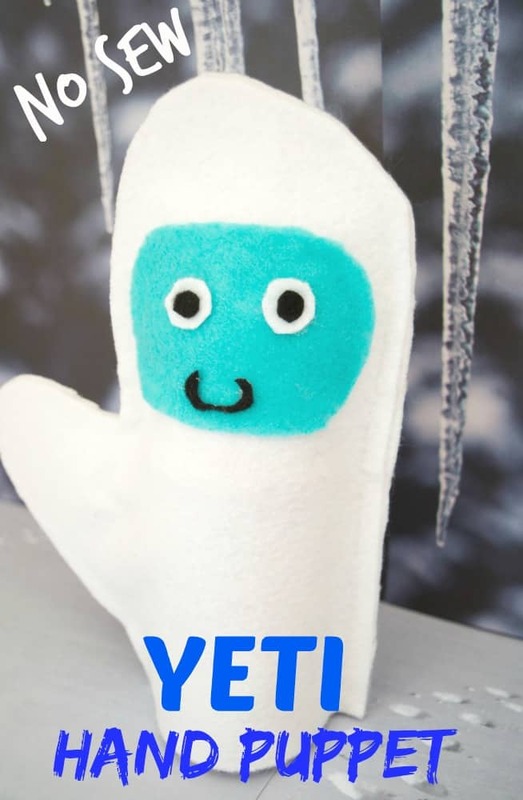 Here’s our little Yeti hand puppet! 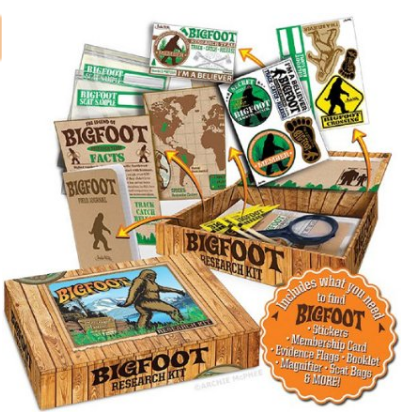 These are great for creating scientific book reports and observations on various cryptozoology animals, using for shadow puppets and contrast observation, or just for imaginary play and theater! 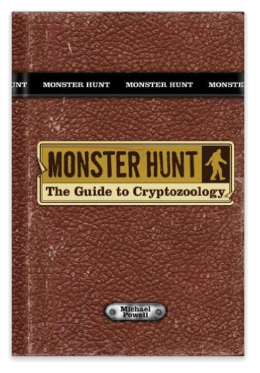 Below are some great books that will surely capture you and your kid’s interests to read more about cryptids and the unexplained!